Press Trip¦ Did you know that less than 10% of children can name a single variety of English apple? A shocking number of children in the UK don’t know many of the basics about fruit, vegetables and herbs grown in this country. A large number are unable to identify basic gardening tools and 73% have never grown a sunflower. 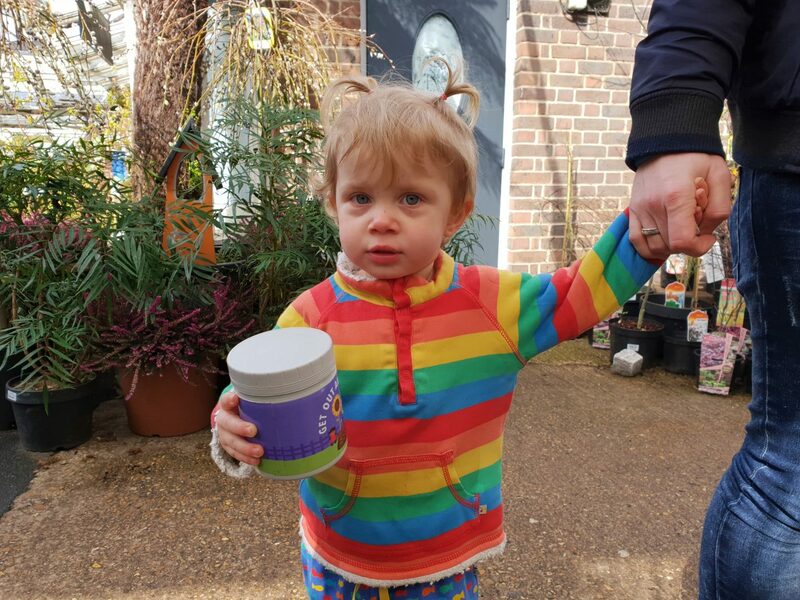 A couple of weeks ago, we attended an event at Clifton Nurseries in London for the launch of Sudocrem’s Get Out and Grow campaign. When I was growing up, I absolutely idolised my Grandad, as he did me. One of his other great loves was gardening. From the age of 15 he’d collected cacti, eventually owning thousands, knowing all their Latin names and facts about them. He also enjoyed all other kinds of plants and was always up for a challenge. One year we brought some sea beans back from a holiday in Cornwall for him to try growing, which he successfully did. He loved bright, colourful flowers and created the most beautiful borders both in the back garden and front garden. People would often stop as they passed to admire his work. Meanwhile, his apricot tree produced the most delicious, sweet, juicy apricots I’ve ever tasted. Naturally, I’d spend a lot of time in the garden with him. I remember watching him garden as a toddler and him going to one of the greenhouses to get me a kneeling pad so I could help him. I really enjoyed those sunny afternoons planting flowers with him and have always appreciated a pretty garden since. Whilst I wouldn’t describe myself as a keen gardener as such, I do enjoy gardening and wish I found more time to dedicate towards it. Of course, it was inevitable that when I had my own child I’d recreate some of these experiences with her. I started last summer, when she was only one and a half years old. I bought her her own watering can and she loved helping me to water the garden every evening. Recently, she’s helped me to plant sunflowers, tomatoes, chives and potatoes. Gardening is such a fun activity that we really enjoy doing together. I can’t wait until the chives have grown just a little taller so that she can reap the rewards of what she’s grown for the very first time! Autumn is now only 2 and a half, so it might be difficult to drag older children away from technology and convince them that gardening is just as much fun, if not more so! A recent study showed that less than 10% of children have dug up a vegetable and only 20% have eaten a vegetable they’ve grown themselves. Perhaps if more grew and tasted their own produce, it would give them a buzz of satisfaction, giving them the gardening bug. I never did gardening at school, so I suppose that if I hadn’t done gardening with my Grandad and parents then I may have been in much the same boat as these children. It would be fantastic if more schools did gardening with children. In fact, I would love to see a proper gardening class added to the curriculum. For decades it was the norm for children to play outside, building dens and climbing trees. However, that has all changed with the advent of consoles and the internet. Along with it there has been a loss of important skills. The aforementioned study showed that only just over half of children had ever weeded a garden or planted a seed. Sudocrem’s Get Out and Grow campaign encourages families to get outside, plant and grow! There are many benefits to doing this. Spending time in nature is good for mental wellbeing and learning gardening skills is good for a child’s development. Children are also more likely to eat vegetables if they’ve grown them themselves! As anyone who has ever grown their own produce knows, it always tastes far better fresh from the garden than bought from the supermarket. 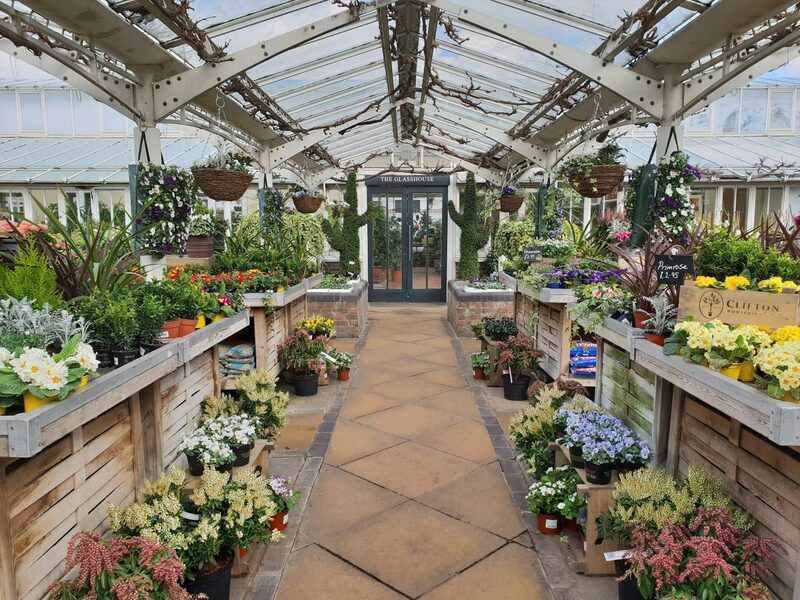 The magical Clifton Nurseries was the perfect place for Sudocrem to hold their launch event, as London’s oldest nursery. They encourage gardeners of all ages, inspiring a love of nature than spans across the generations. 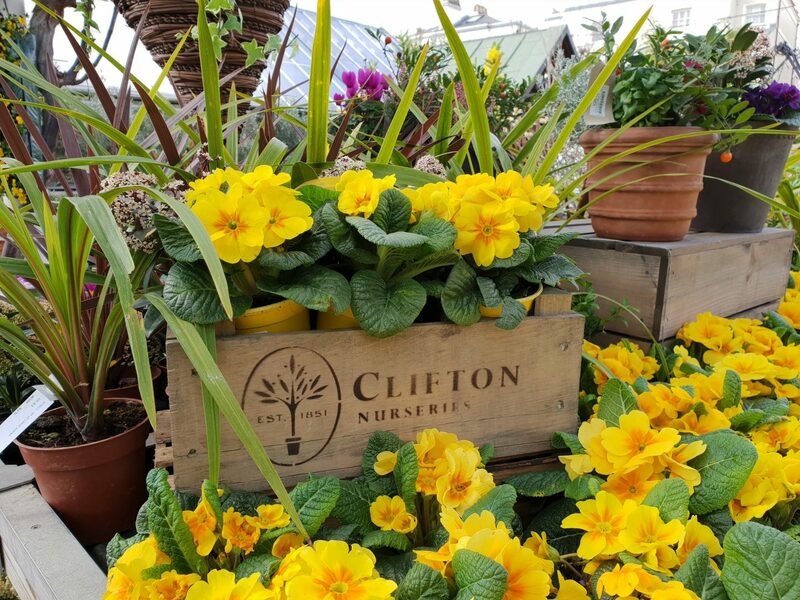 Situated in Maida Vale, the historic Clifton Nurseries is absolutely beautiful. 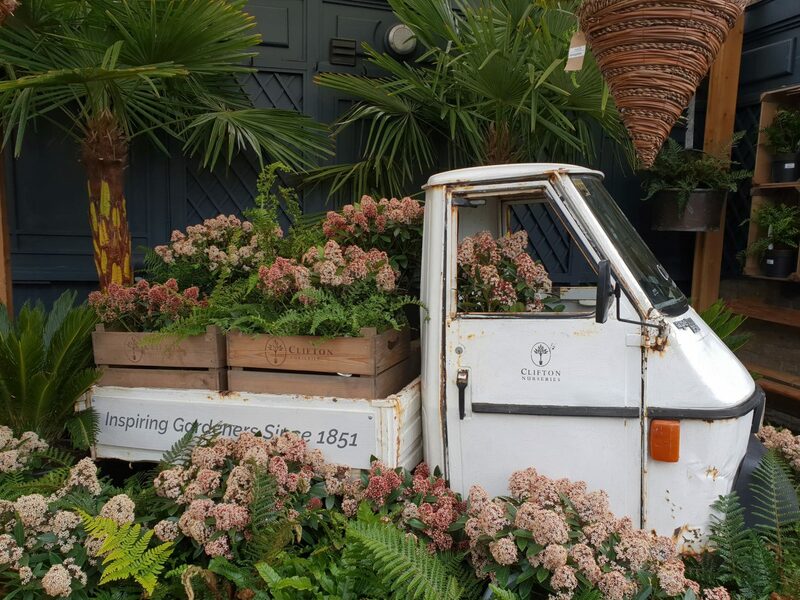 It is no wonder that it has won multiple Chelsea Flower Show gold medals and has worked with HRH The Prince of Wales, Cartier, Christies and Harper & Queen. As I perused, Autumn’s laughter filling the morning air, I felt it impossible not to feel inspired. After a story, the children gathered around crates of compost to dig up potatoes and carrots, much to their delight. Then, they each got to plant some sunflower seeds in a large Sudocrem pot (a great idea for recycling when we get to the bottom of the one we’re using!) This campaign encourages children to get gardening and have fun, as well as offering lots of advice! We then had an amazing cake made by Great British Bake Off Winner, Frances Quinn. 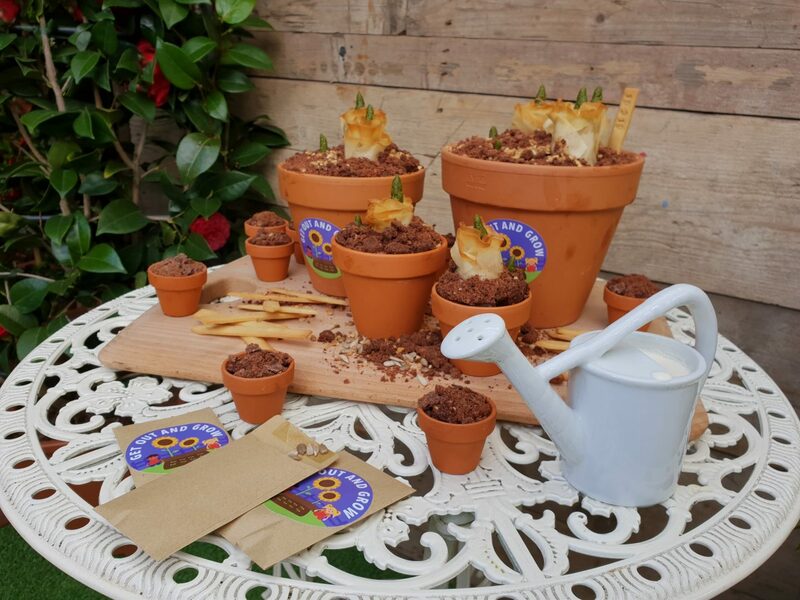 If I hadn’t been told it was cake, I would have thought it was real bulbs in the plant pots. A cross section showed the bulbs even went below the surface. She had even made mini cakes for the children! The cake was absolutely divine and I was over the moon to receive a copy of her recently published book which contains the recipe. 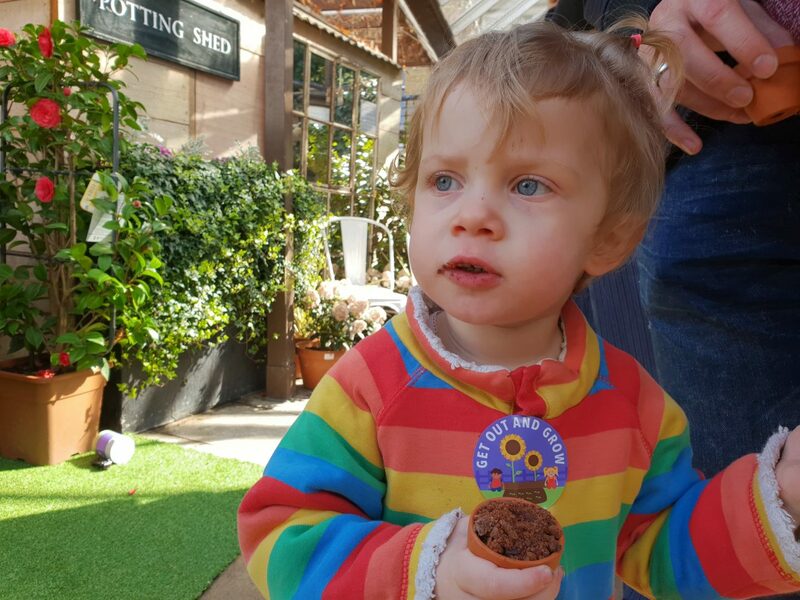 Autumn, who was already in a rambunctious mood but was now fuelled by cake, ran off to explore the nursery. 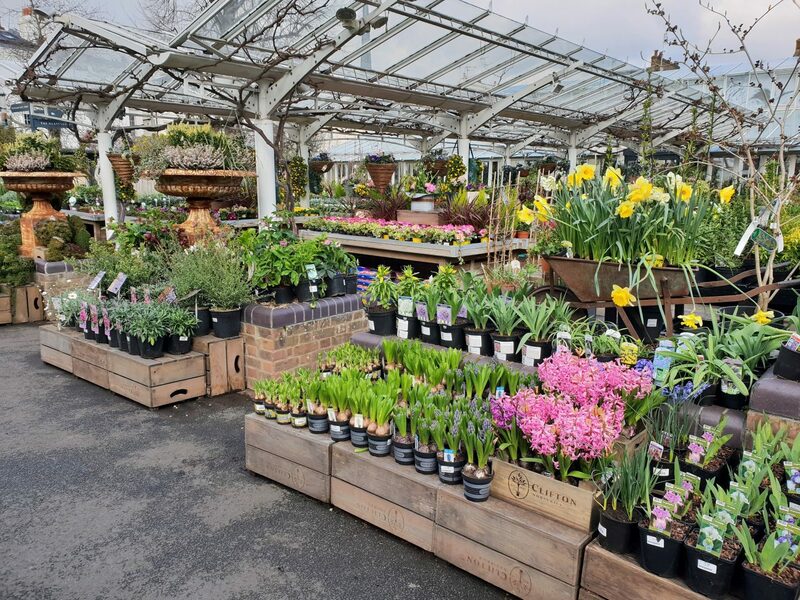 Following her, I was delighted to see the variety of plants on offer. Autumn received a lovely goody bag containing lots of essentials for gardening as well as a T-shirt, so that we can continue our gardening adventures. She delighted in pretending to water the plants at Clifton Nurseries with her new watering can! It also contained a cute little pot of Sudocrem – perfect for looking after small hands after they’ve been working in the garden. Any little cuts and scrapes will be healed in no time! 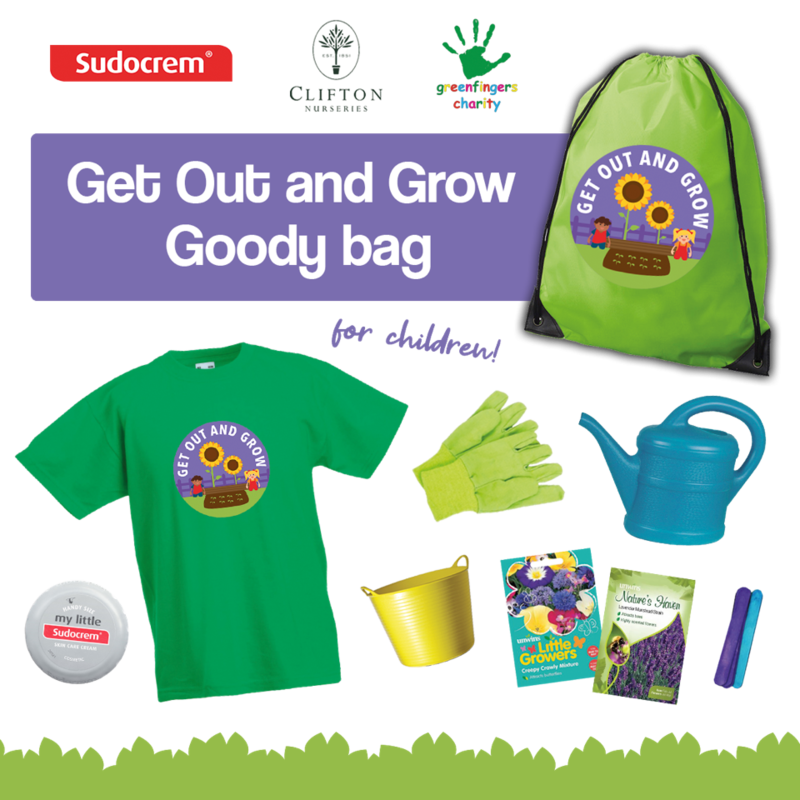 Would you like your chance to win your very own Get Out and Grow goody bag? There are two up for grabs! Enter using the widget below. 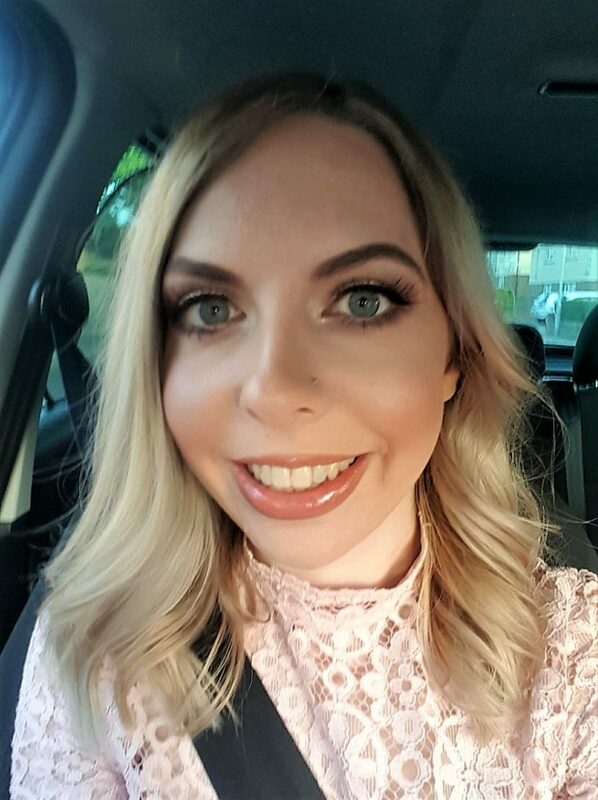 Disclosure: We were invited to this event, where we were given a goody bag in return for our attendance. All views and opinions are honest and my own. I’ve just bought a lot of bee-friendly seeds so they would be first. we have alot of work to do in our garden as we not long moved in hoping to plat lots of bee friendly plants liek lavender! We always plant strawberries and tomatoes! I really want to plant some fruit and veg this year with my son! We are planning on strawberries and sunflowers! We just got some wildflower seed packets so that is happening very soon! We are growing gooseberries and redcurrants. We have started planting but we still have some sunflowers and veg to do. I think we are going to give strawberries a go this year. We are growing potatoes, tomatoes, strawberries and lettuce. Great prize ,my granson will love it if lucky enough . My daughter loves growing sunflowers (because of their flowers) and beans (because of the Jack and the beanstalk story).